Wireless networks or WiFi is an extremely convenient way to share your Internet connection with all the devices within your home. Previously we had to run wires and pull cable all over the house to achieve the same results. WiFi isn’t 100% foolproof though. Users experience dropouts, dead zones, and slow performance. Security is also a concern. Without the right protection, criminals parked right outside our door could be eavesdropping on us and stealing our personal information. We will start by offering several ways to fix the most common WiFi problems in the home and then we will help you decide which wireless router to purchase if you need to replace an existing one. The most common complaint with wireless networks is coverage and speed. We will examine several techniques to try to solve these problems. 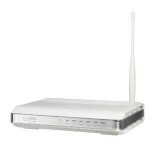 Reposition wireless router - Position the router in the center of your house, not we're your broadband access happens to be. Even better, mount it high up on the wall. Put it on the first floor. You need to test, retest to see how things work. Do not leave it on the floor, think of the router as a light bulb illuminating a room. Do not hide the router. Buy a better antenna - most routers come with tiny, cheap antennas. 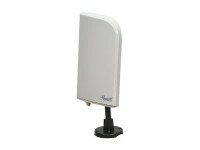 If your wireless router allows it, purchase a longer, high gain antenna. Some antennas allow you to position them for maximum performance. You can also mount foil behind the antennas to focus the Wi-Fi signal in a particular direction. Change Wi-Fi channel - Wi-Fi channels 1 through 11 are available, with 6 being used the most. Try channel 1 or 11. There may be interference on the channel your Wi-Fi router is using. Switch the wireless channel to another one, if your router allows this. Use a program like inSSIDer to see which channel is less crowded. Remove interference sources - some microwaves and some cordless telephones can introduce wireless interference. Try turning these devices off and see if your reception is better. Here are some tips to extend the range of your wireless network through the use of additional network boxes. Add a wireless range extender - These boxes while you to extend the footprint of your wireless network. They are positioned within range of your existing wireless router, and send the signal further out. The new area will have much lower performance though, as any data needs to be relayed from extender to wireless router. Add a 2nd wireless router - Run a network cable or use a power line adapter to set up a 2nd wireless router. Position it in an area far away from the original wireless router. You need to configure it correctly so that there is seamless coverage. If you've tried all these tips and decide that you want to replace your wireless router with a new one, read on. You will want to buy the fastest and longest range wireless router that will fit your budget. Here are the main criteria that separate different types of wireless routers. Keep in mind that your ISP will probably have wireless routers available, typically bundled with their cablemodem or DSL modem. The advantage is that they will support the product, but you probably will not get as full featured a product. The prices they charge will also be high, so be sure to avoid any monthly lease payments for networking products, that you can purchase outright. The days of incompatible networking gear, pretty much past. Most wireless routers sold today are compatible with the 802.11n standard. The faster and brand-new 802.11ac standard has not been finalized, but products have already hit the market. Keep in mind your devices need to support these standards also, otherwise you will not see any faster throughput without this. The MacBook Air release in Summer 2013 was one of the first laptops to support 802.11ac wireless LAN. We would recommend that you stick to the 802.11n standard for now. Dual band wireless routers support both 2.4Ghz and 5Ghz frequency ranges. Definitely look for a router that supports both frequencies. The 5Ghz and is less crowded, so it may offer better performance, but its range is much shorter. Look for a wireless router that has several antennas, ones that are easily upgraded to better antennas. Newer routers support faster throughput through a variety of technologies. Many of these performance numbers are a little over-hyped, so we would ignore them. Software is an important part of a wireless router. Some software is more stable than others, while some routers will allow you to run third-party software or firmware on them. Here are some of the important features to look for in a new wireless router. Remote access - Some routers allow you to administer them from anywhere in the world. We don't find this attractive, it sounds like a security hole. 3rd party firmware - Some vendors allow you to install 3rd party firmware like DD-WRT or Tomato. This third-party software may have more features than the original software, and may also be more stable. 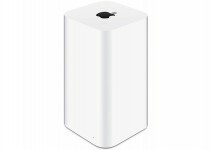 In our experience, if you don't need a lot of customization, the best wireless routers are made by Apple. Netgear, D-Link, and Linksys home make capable products, but ones that need a little more technical expertise. This should cost under $100. We have covered a lot of ground and hopefully can help improve your wireless networks performance and stability. Be sure to enable WPA2 encryption, and keep the router software updated on your wireless network. Feel free to ask any questions or make useful suggestions. Good advice. Usable. DD-WRT is very desirable. Fixing wireless router is very simple. there are many videos on youtube on how to troubleshoot routers and other network issues.